One hundred thirty days from the November 4th Election New Britain Democrats will formally open their campaign headquarters on Saturday June 28th from two to five p.m.
City Democrats will welcome Lt. Governor Nancy Wyman and Attorney General George Jepsen to the HQ located at the lower level of 19 Bassett Street near Franklin Square. Summer Get Out The Vote (GOTV) activities will include a voter registration drive, building visibility for the fall campaign and canvassing on behalf of Democratic candidates. All are welcome to the opening for refreshments, to discuss the issues and to sign up for the 2014 campaign. 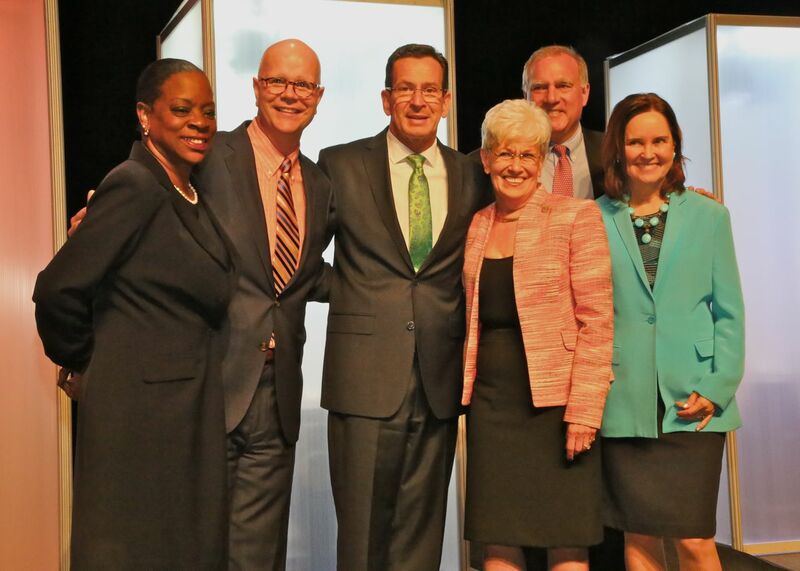 The State Democratic Slate: from left Treasurer Denise Nappier, Comptroller Kevin Lembo, Governor Malloy, Lt. Governor Wyman, Attorney General Jepsen and SOTS Denise Merrill. Governor Dannel Malloy and Lt. Governor Wyman will lead the Row B slate with U.S. Elizabeth Esty in the 5th Congressional District and the state’s constitutional officers including Jepsen, Secretary of the State Denise Merrill, Treasurer Denise Nappier and Comptroller Kevin Lembo. 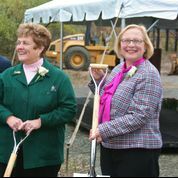 The city’s five-member state legislative delegation is seeking re-election including State Senator Terry Bielinski Gerratana (6th Senate District), State Rep. Betty Boukus (District 22) of Plainville who represents the 14th Voting District (DiLoreto School) as part of her multi-town district, State Rep. Rick Lopes (District 24), State Rep. Bobby Sanchez (District 25) and State Rep. Peter Tercyak (District 26). Gerratana is unopposed after the Republican nominee, City Constable Henry Zembko, withdrew his candidacy before the filing deadline amid reports of Zembko’s posting vitriolic social media statements against Democrats, including a slur against First Lady Michele Obama. Also unopposed and running for a new term is Judge of Probate Walter Clebowicz to round out the New Britain ballot. At Thursday’s Democratic Town Committee meeting Democratic Registrar Juan Verdu called for voter registration efforts at local stores and events in the run up to the October mail-in registration deadline. 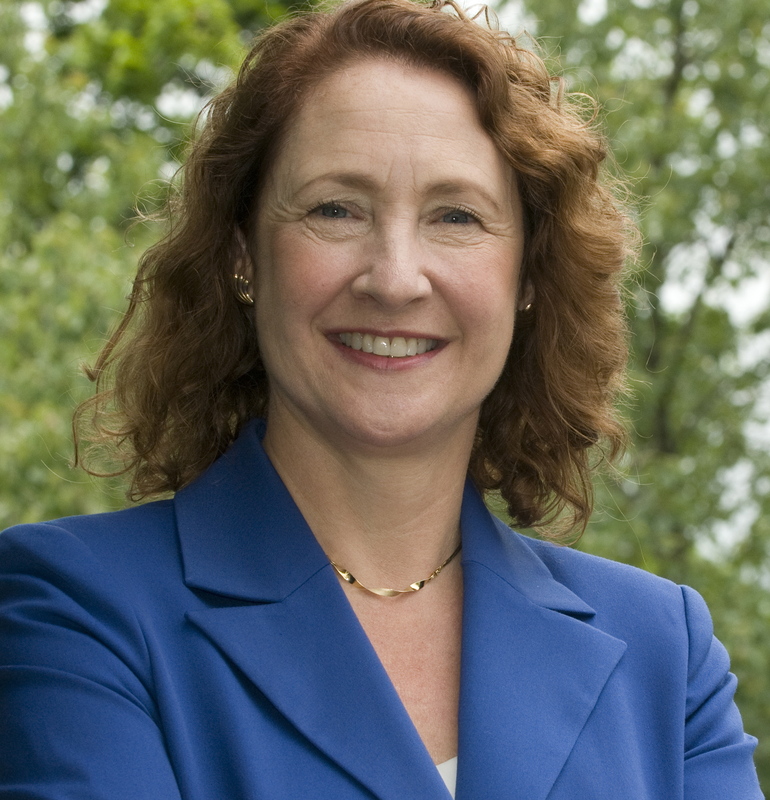 This entry was posted in Bobby Sanchez, Connecticut Politics, Election Day, Elizabeth Esty, Gerratana, Jepsen, Kevin Lembo, Lopes, Malloy, Peter Tercyak, Wyman. Bookmark the permalink.